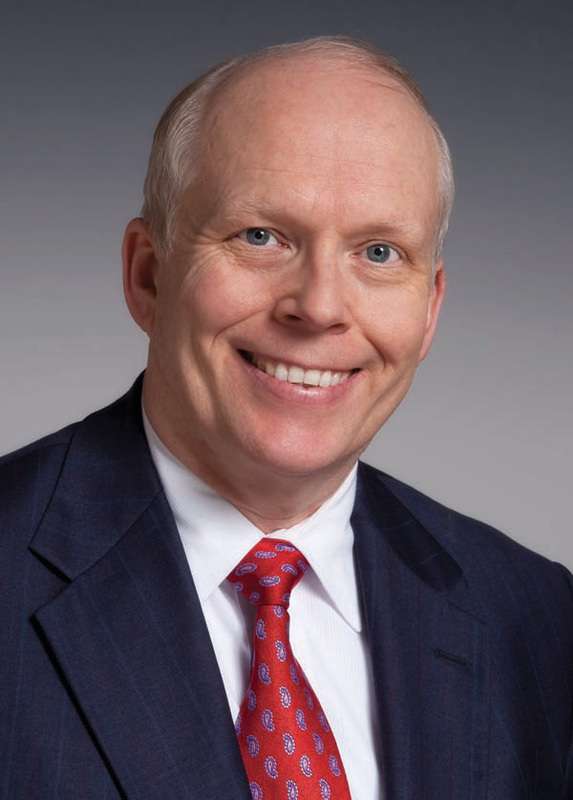 In the next installment of our Board Member Spotlight we are featuring Ohio Chamber of Commerce Board Member Chuck Sulerzyski. Chuck has served on our board since 2012 and is also the President & CEO of Peoples Bancorp Inc.
We are a community bank that offers a complete line of banking, investment, insurance and trust solutio ns through our subsidiaries – Peoples Bank and Peoples Insurance Agency, LLC. We have been in business since 1902 and are known for our long-standing dedication to improving the lives of the communities we serve – this commitment is at the center of what Peoples stands for. How does your company impact the Ohio economy/benefit the Ohio business community? We provide capital that allows businesses to grow and prosper. We help protect businesses with our suite of insurance, treasury management, and online services that allow them to better manage risk, and we provide a broad set of employee benefit services that allow them to attract and retain talent. And, our associates are dedicated to quality service that will help ensure the success of local business owners throughout our footprint. What is your role at your company? I’ve served as President, CEO and Director of Peoples Bancorp, Inc. since 2011. I’m proud to work with a team of individuals who are committed to constant improvement, which ensures we take great care of our clients and stockholders. What do you hope to gain from your membership with the Ohio Chamber? It is important to us to develop relationships with fellow Chamber members to gain perspective on business across the state. We also participate so that we can help to influence public policy on issues important to the financial sector. For example, we support the Chamber’s recent advocacy on House Bill 108 that requires a full semester course on financial literacy be completed by all Ohio high school graduates. And, we think the work of the Chamber’s Opiate Addiction Task Force is crucial to helping Ohio’s businesses conquer opioid addiction’s impact on healthcare costs and employing a drug-free workforce. How has serving as a member of the board helped you or your company? The Ohio Chamber does a great job of keeping members informed on policy positions affecting the Ohio business community – information we take back to our local chambers and government officials. Serving as a board member has widened our reach and helped us develop valuable new business relationships and also initiate referrals to other Chamber partners. How long have you been on the board or committee? I have been on the board for more than 10 years and currently serve on the Chamber’s Executive Committee. What are some of the latest goals/objectives of your company? At Peoples we want to be partners with our clients and communities. Our motto of “Working Together. Building Success.™” epitomizes what we are all about. We are focused on gathering clients, getting them to stay longer, having them use more of the products and services we offer, and to refer others because we have served them well. Peoples Bank cares about our communities. We want them to be better places to live and work, and where businesses thrive because we are there. How has the Ohio Chamber helped your company achieve those goals/objectives? The Chamber’s mission of being a champion of free enterprise, economic competitiveness and growth for the benefit of all Ohioans, compliments our core values. We conduct business with integrity, develop trust among our clients, are committed to our communities and have the drive to excel. It is encouraging to know that there is a team of Chamber advocates on the front lines working to ensure a positive business climate – for the benefit of all Ohio businesses.